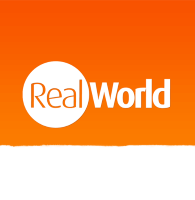 As technology progresses and we move further and further away from nature, the Galápagos Island remains remarkable by not conforming to an ever-changing world. In fact, remaining how mother Earth intended is exactly what makes a Galápagos Island holiday such a special and unique journey. This is an all natural wonderland of unforgettable beauty. From its crisp golden beaches and azure blue seas, all the way up to its tranquil green highlands, it’s truly a sight to behold. However, these scenes represent much more than just a pretty picture. This unspoiled ecosystem is home to a whole host of weird and wonderful creatures too. There’s so much to see during your holiday in Galápagos Islands that, in order to get the most of your trip, it’s important to know what you’re looking for. With that in mind, here’s just some of the wildlife you can see in the Galápagos Islands. Let’s start off our list with the most famous island inhabitant. 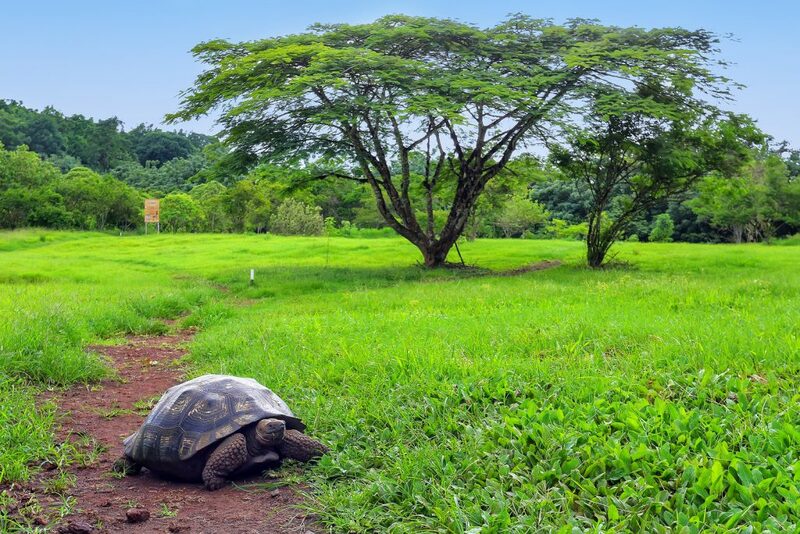 The giant tortoises, also known as the Galápagos tortoise, is synonymous with the area and have found in the islands a place to thrive, thanks to a lack of predators and plenty of lush greenery to sink their teeth into. These gentle giants can live to be 150 years old and, due to conservation efforts, now have a higher population in recent times than they have for hundreds of years. Notably different in appearance, the marine and Galápagos land iguana both have their own distinct charms. The marine iguana is dark colored and are often seen bathing in the sun upon lava rocks. They’re a common sight on the shorelines of the archipelago and are one of the area’s most popular creatures. 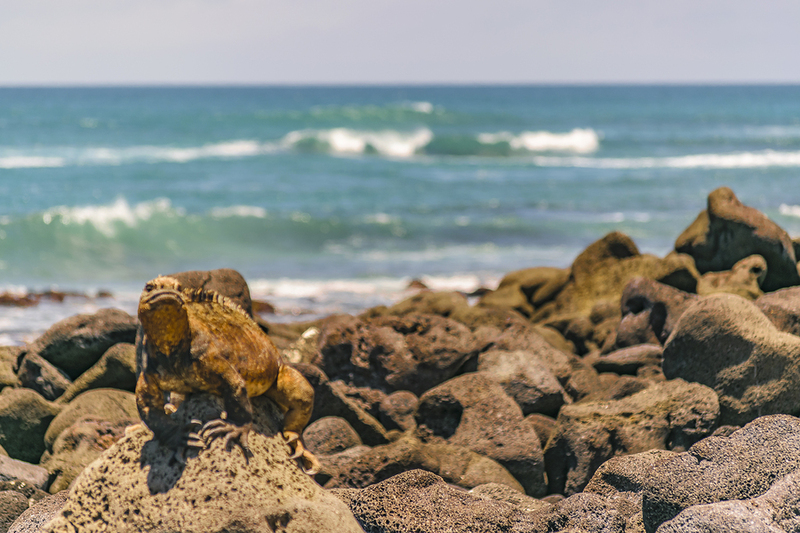 If you arrive in June, you may even catch sight of newborn marine iguanas. In contrast, Galápagos land iguanas are bright yellow and enjoy cacti and fruit. They are larger than marine iguanas too. This is a good thing, as you’re unlikely to see many in one place, so their large size makes them easier to spot. There are actually two species of bat in the Galápagos islands. While little is known about either, this is especially the case for the Lasiurus Brachyotis, which is found in the highlands and coastal zones and is believed to be related to the red bat. Hoary bats, on the other hand, are more widespread and can be found in more areas of the islands. It’s light brown with touches of white fur and forages high in the air, compared to the lower foraging Lasiurus Brachyotis. 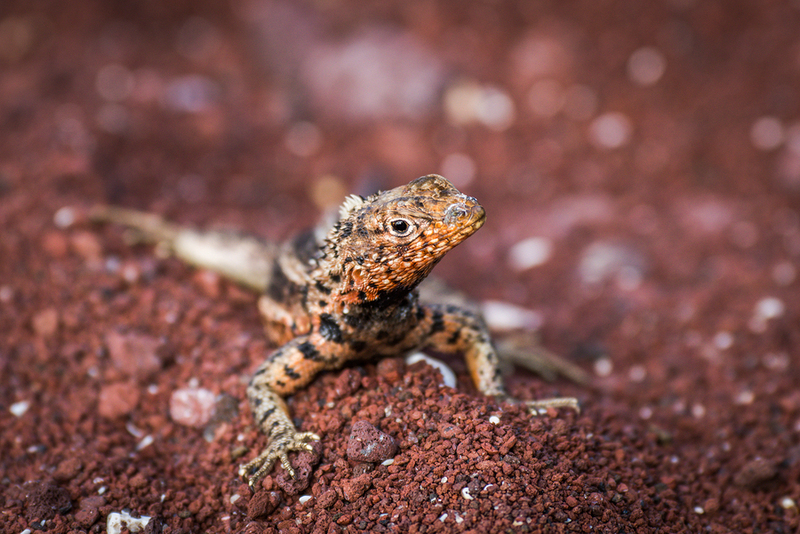 It’s unlikely that you’ll make it through a trip to the Galápagos without seeing plenty of these small lizards: of which there are seven species that can be regularly spotted on the islands. In fact, you can even tell which island you’re on based on which type of lava lizard you’re looking at. These are similar to the sea lion and about as easy to spot. You can tell them apart due to their size (with the former being smaller and broader), large flippers and bulging, thick, furry coat: hence their name. Seen throughout most of the year, the sea lions are arguably the most charming of all of the islands’ inhabitants, thanks to their cutesy looks and playful behavior. 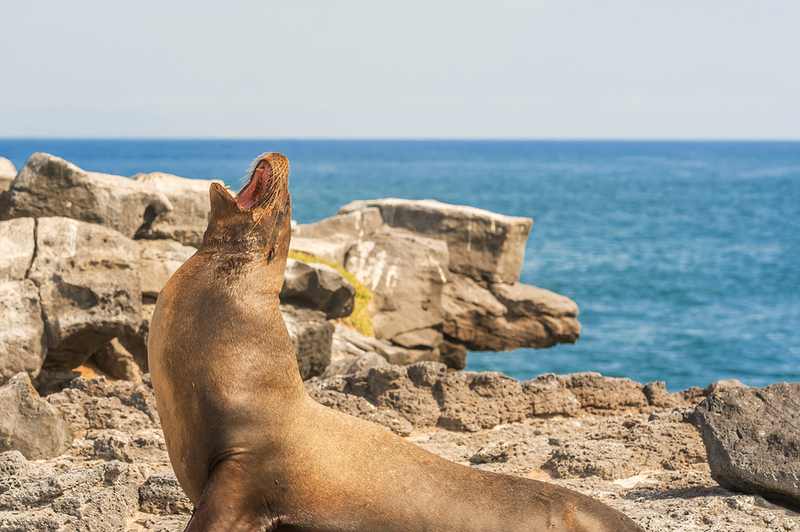 Don’t worry about not spotting them: with tens of thousands of sea lions throughout the islands, they very well may be the first animal you see during your visit. However, despite their cuddly appearance, always remember that these are wild animals and should be treated with respect. There’s plenty of species of whales and dolphins that call these islands their home. These include the bottlenose dolphin, common dolphin, killer whale, pilot whale, false killer whale and humpback whale: the latter of which is perhaps the most exciting to see thanks to its tendency to splash rather dramatically. 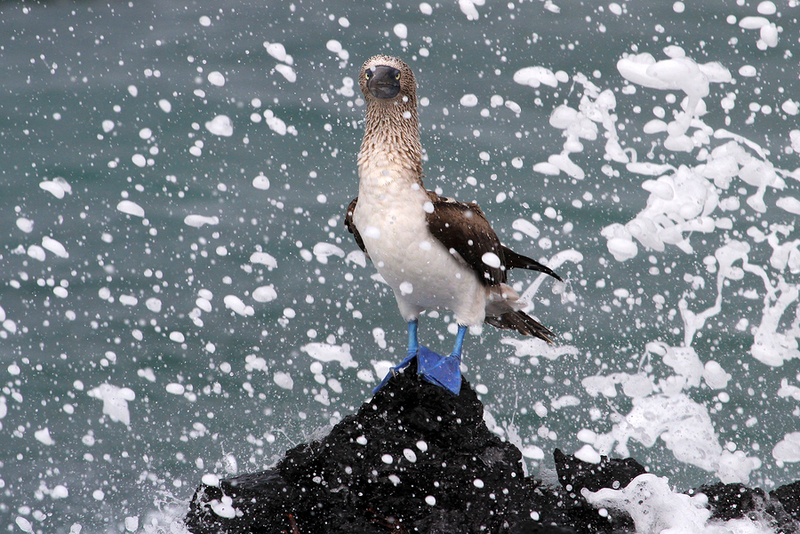 Holidays in Galápagos Islands have much more to offer too. There are, of course, plenty of other animals that can be seen on the islands. Some of them are unfortunately very rare. These include the Galápagos rice rats, which were introduced to the island’s ecosystem with terrible consequences. There are also other reptiles, including the pink iguana, and plenty of species of birds, such as the iconic finches that contributed to Charles Darwin’s work on the theory of evolution. The wildlife you can see here will largely be dictated by the time of year you choose to visit, so make sure you do a bit of research ahead of time to avoid disappointment.